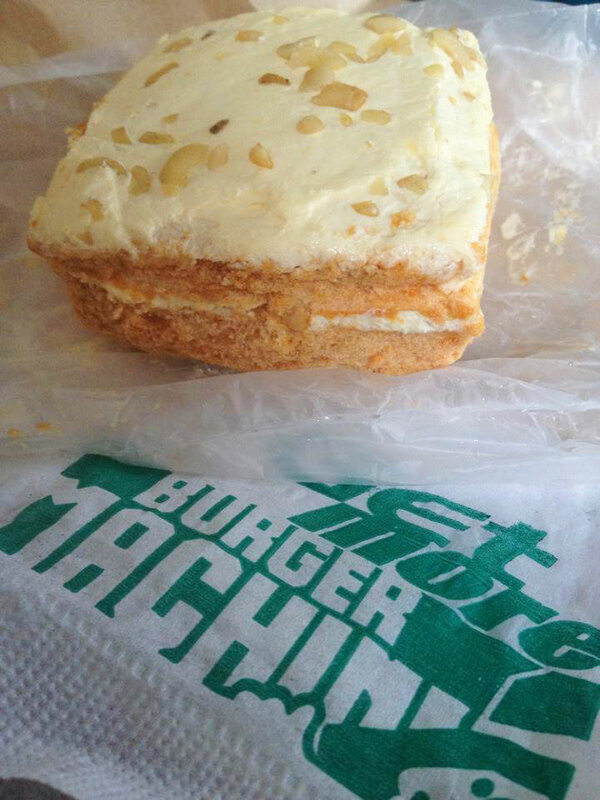 I read about the Burger Machine's Sansrival from When In Manila Top 12 Cakes and its also included at Spot.ph Top 10 Sansrival in Manila. So it really made me curious. I always passed by one Burger Machine joint in Manggahan on the way to work. Burger Machine joints are permanent food stall where they sell affordable burgers. I think they still sell the Buy 1 Take 1 burgers. I've tasted their burgers before and I also have one cousin who used to work with them. So I am really surprise that they have this and didn't know about it. I bought one because I'm just curious. It costs P20 pesos now from the old price of P15 pesos. The size is really small and was sealed on a plastic. It came from the ref and was chilled. It was really easy to eat. Nakatatlong kagat lang ata ako! 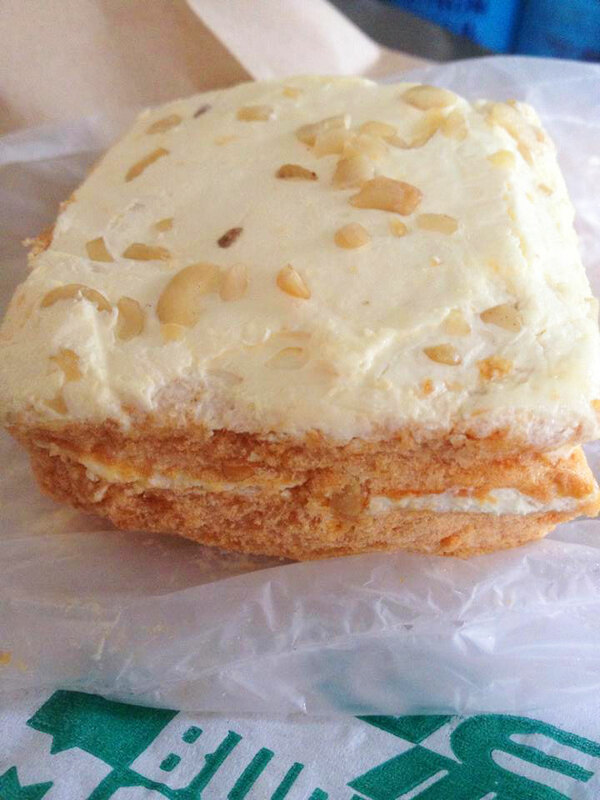 Yes masarap nga sya, the buttercream especially. But I really hope it was freshly made. The bottom crust was unpleasantly chewy. And I have this feeling that the stock was old. Maybe I'll just order the big one that costs P100 pesos. It is on pre order so siguro naman freshly made sya. There was another flavor of it, I think on mocha or chocolate? But my friend said hindi sya masarap. I would love to try it again if it's freshly made.